With guaranteed rent, you will be able to experience the financial benefits of having a property portfolio, but without all the stress that comes with it. 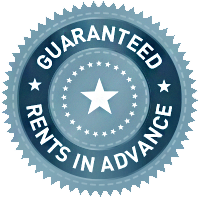 GUARANTEED RENT SERVICE provides a full management service, freeing you up from the day-to-day management responsibilities of your property or portfolio. This gives you more quality time to concentrate on other things such as more time with the family or time to plan your next addition to your portfolio. This service is available to everyone from the landlord with one or more properties or the corporate institutions with hundreds of properties. Guaranteed rental income for your property every month in advance for the entire term of our contract. We do not charge you any commission or fees, and pay you every month in advance. Anthea Investments is your tenant and any damages occurred, repairs, replacement to the property during the agreed period will be our responsibility excluding fair ‘wear and tear’. We can arrange and provide for the Gas, Electric and EPC certificates to be completed on your behalf at our cost. The minimum contract that we offer is a 12 month contract, and during this period we manage every aspect of the tenancy. You receive fixed monthly payments regardless of whether the tenant is paying or not, and even if the property is empty, thus no void periods. We know that sometimes you may struggle to let a property, for various reasons. With guaranteed rent, you don’t have to worry about this anymore. You let the property to us, and it is up to us to then find the right tenant, and provide you with a fixed rent and a peace of mind. Our agreement starts straight away and we pay you into a nominated bank account. All the payments are made in advance and there are no hidden charges or fees. We act as a tenant to you (the landlord), and we are responsible not only for paying you the rent, but also for any contractual or maintenance works that need to be carried out. We believe that everybody should do their research before deciding what is best for them, and therefore our experienced staff are always there to help you make this decision. All you have to do is give us a call and we will give an objective advice on guaranteed rent and more traditional ways of letting your property.